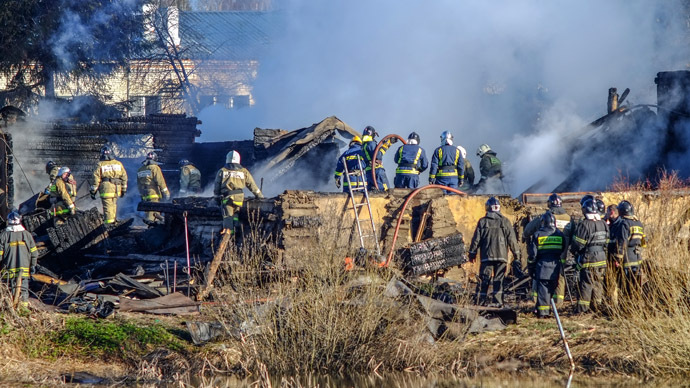 Thirty-seven people have died in a fire at a psychiatric hospital in Russia’s Novgorod Region, according to the country’s Investigative Committee. Rescuers are working at the scene to recover the dead bodies. So far, 34 bodies have reportedly been found. Three people were injured during the fire in the hospital in the village of Luka. The bodies are too severely burned to be immediately identified. The exact number of victims of fire is yet to be specified. When the fire started, about 60 people were inside the building, including two employees of the hospital. Over 20 people were evacuated by the facility’s administration, according to the Deputy Head of the Russian Emergencies Ministry, Sergey Voronov. President Vladimir Putin has sent his condolences to the relatives of the victims of the tragedy and instructed regional authorities to provide all necessary aid to the survivors, his spokesperson Dmitry Peskov said. Most patients receiving treatment at the hospital are seriously ill, which made it difficult for the hospital staff to carry out evacuation. Fifteen of the patients were immobile and 22 were sedentary. Most likely these patients are among the victims, according to Novgorod Governor Sergey Mitin. “Half of these people have no relatives. They are rather difficult to cope with, but we will pay all possible attention to absolutely everyone and do everything possible to make up their losses,” Mitin said, as cited by Interfax. The regional administration will pay for the organization of funerals and, if needed, for the transportation of dead bodies to other locations, he added. It has already been established that a hospital nurse, 44-year-old Yulia Anufrieva, who was trying to help the patients get out of the building, is among the victims. She had worked in the hospital for many years and lived nearby, was married with four children, Interfax reports. She will be put nominated for a posthumous state award for her efforts to rescue the patients. According to a preliminary investigation, the fire erupted after one of the patients has set his bed on fire, the investigative committee announced. An alternative theory has been put forward by the hospital’s chief, Gusein Magomedov, who believes a patient could have set the building afire intentionally. He explained that some of the patients were free to come and go. There were no bars on the windows of the hospital. The first firefighting crew arrived three minutes after being alerted to the incident, according to the governor. 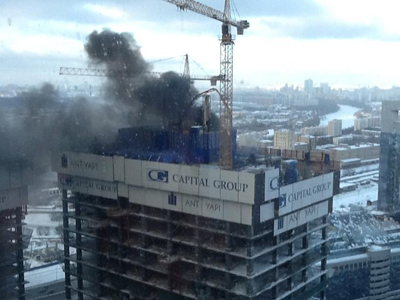 Twelve firemen and five units of machinery were engaged in extinguishing the flames. It took them an hour-and-a-half to do the job. The building which housed the men’s ward has been completely destroyed. “Three hundred emergency workers are now carrying out a clean-up at the fire scene. Emercom planes are out there ready to evacuate the injured,” Sergey Borzov, Russia’s chief fire inspector, told RT. In the meantime, the authorities are searching the surrounding area to find the missing persons. An investigation team has been dispatched from Novgorod. Russia’s Emergencies Ministry (Emercom) and the Prosecutor’s office say they had tried to force the hospital administration not to use the building that was destroyed by fire. It was made of wood and had low fire resistance. “Emercom supervisory department together with the Prosecutor’s office filed a lawsuit to initiate the building’s closure. The court ruled that the hospital administration was to do away with the violation [stop using the building] by August 1, 2014,” said the head of the Emercom supervisory department Yury Deshevykh, as cited by Itar-Tass. A criminal case has been initiated by law enforcers to establish if any of those people in charge of the hospital could face charges of manslaughter and negligence. Following the September 13 tragedy, authorities in the Novgorod Region are going to carry out checkups of local social institutions, Interfax writes. Tragic blazes in medical facilities are not uncommon in Russia, with at least 19 cases in the past seven years. In April this year 36 people were killed in a fire at a psychiatric hospital on the outskirts of Moscow. A nurse and two patients were the only survivors. 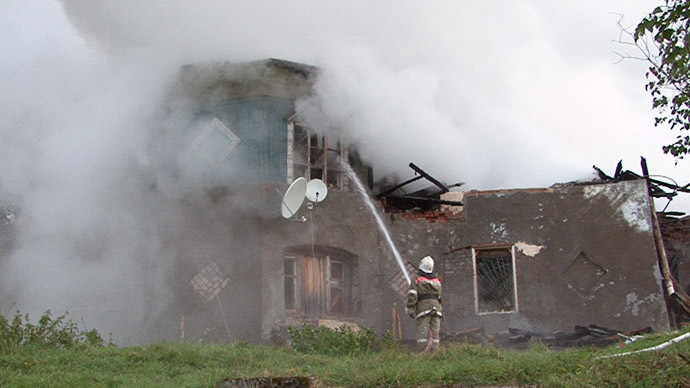 Among the other most notable ones was the tragedy that occurred in 2009 in the Russian Republic of Komi, where a blaze in an old people’s home in the region took the lives of 23 people. Only three people were saved in the incident. 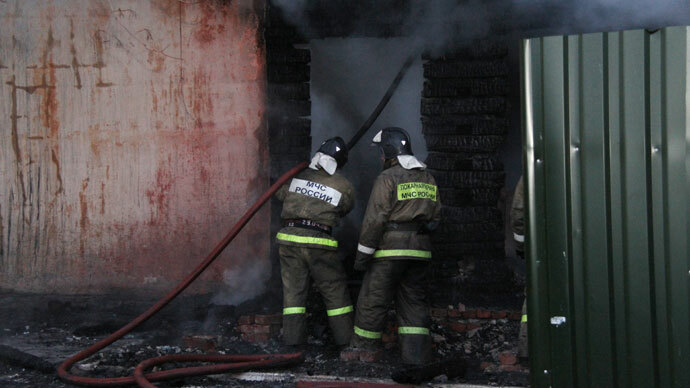 Two years earlier, a fire in the city of Tula, again in a home for the elderly, resulted in 32 victims while 247 patients, including medical staff escaped.